Delay Threats Until Help Arrives. Protect Your People and Your Property. Crotega provides a remotely deployed shooter suppression system that drenches the perpetrator with a repulsive solution, impairing their ability to enact violence. 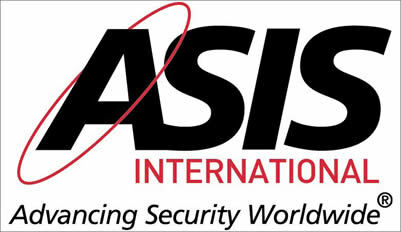 Shooter suppression is the next step in life safety and interior building security. 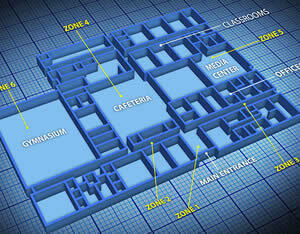 Repuls solution is manually deployed in predetermined zones, limiting affected areas within a building. 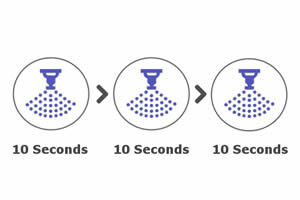 Repuls solution is deployed in preset bursts such as 5, 10, or 15 seconds, allowing for multiple deployments on the same area. 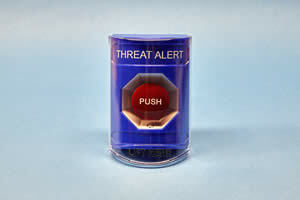 Threat Alert buttons and gunshot detection options instantaneously activate the touch panel deployment controls. 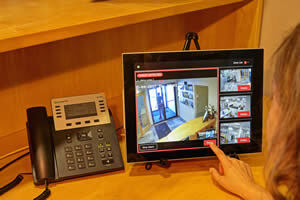 Crotega secure touch panel allows for rapid deployment of the system at your fingertip. Repuls™ is deployed as a water-based spray with active ingredients, not as a fog or aerosol, and does not impede egress. Repuls™ spray irritates the eyes, throat, lungs, and skin, and causes involuntary eye closure, coughing, and breathing discomfort. 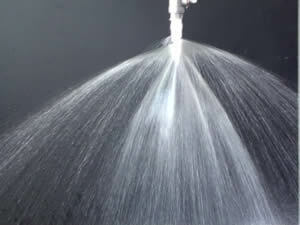 Exposure is mitigated by flushing with water. Easily cleaned with water and detergent followed by air circulation. Egress may be delayed during deployment of Repuls™ for up to 30 seconds. 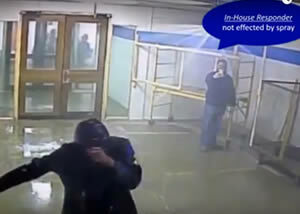 A burst of spray does not hide, conceal, cover, shroud, or cloak an egress. The news is spreading about the Crotega Shooter Suppression System.